Summer Solstice Beauty Rituals – Get In Tune With The Cycles Of The Sun! Yes, we love the moon but lets now honour the sun with summer SOLstice rituals – not forgetting to make them utterly BEAUTIFUL! Thursday 21th June 2018 is the longest day of the year. Summer Solstice (the solstice at midsummer) gives us the most amount of daylight, so there’s a lot of light available to use for our beauty rituals. With LIGHT available to us we can be the most present with ourselves. We can be the most clear about our EGO – the Sun represents the “I am” consciousness. 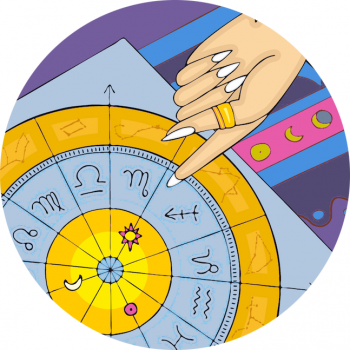 Akin to the Leo zodiac sign it’s a great time to get back in touch with your core qualities – the qualities of your SUN sign. Solar energies are related to brightness, expansion, and success. In the olden days, Midsummer saw crops in the field not yet ready to be gathered, warmly expressing their abundance. With positivity in the air, not yet ready for the toil of Harvest (and Virgo-work season) it marks a time to celebrate! This is truly a time to kick back and smile – no wonder people adore a summer holiday – it’s truly time to take off! The lucky color for Leo and the one most linked to the sun is gorgeous gold! Yoga body = happy body, happy body = beautiful body! Show gratitude in a morning meditation on this the longest day of the year – you can’t say you don’t have time! A tradition for women is to pick seven different species of flowers during Midsummer. In medieval times, herbs and flowers picked during the summer solstice were believed to carry extra healing energy, with sacred plants including St. John’s Wort, Vervain, Yarrow, Fern, and Mugwort. I personally LOVE sunflowers! Celebrate summer with a splash of warm yellow in your beauty. Sol, the sun can be worshipped at this time, and we can remind our self of its life-giving generosity using a touch of warmth in our products. Use those that remind you of the significance of the sun: benevolent, honest and true. Have a luxurious bath with this Ortigia Sicilia soak. It carries the exotic fragrance of orange blossom – a feast for the senses.